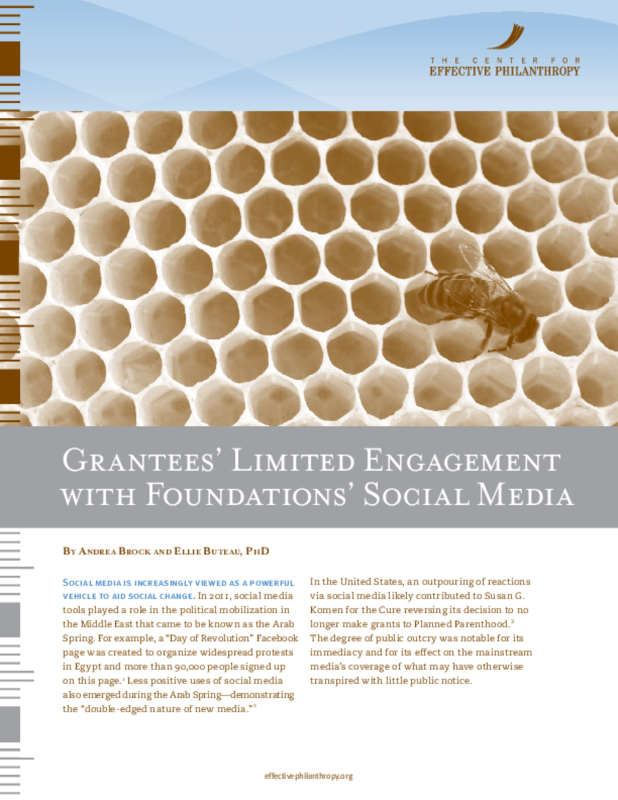 It is not surprising that foundations are investing in social media tools. These tools can serve myriad functions for foundations, from promoting a culture of transparency to the public at large, to influencing thought leaders, to connecting with grantees. Copyright 2012 Center for Effective Philanthropy.